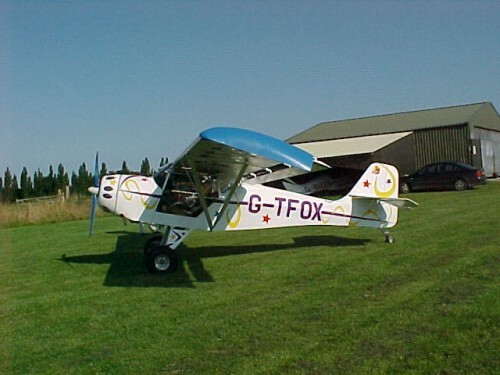 The larger, wider Kitfox Model 2 was introduced in 1989. This “beefier” Kitfox allowed for greater useful loads and more room in the cabin. The Model 2 featured a larger vertical tail area and the new Rotax 582 engine option. The gross weight was increased to 950 pounds. The airfoil and control systems remained the same as the Model 1, but spars were strengthened to accommodate the higher gross weight. Flying-wise, the Kitfox Model 2 is quite similar to the Model 1. The larger tail surface helped some with the yaw issues, but was somewhat offset by larger engines and the introduction of wing tanks. Like the Model 1, the Model 2 is yaw neutral and needs to have the nose “placed” where it needs to be. Flaperon use and characteristics are virtually identical to the Model 1. Dual brakes were available for late Model 2 airplanes, and many earlier Model 2 airplanes have had dual brakes installed. Ground handling is similar to the Model 1, but the increase in gross weight, therefore greater mass, does cause one to pay a bit more attention to the landing rollout.